FEATURE – The Great White Throne. Court of the Patriarchs. Angels Landing. These towering rock formations are usually what visitors think of when they picture Zion National Park. 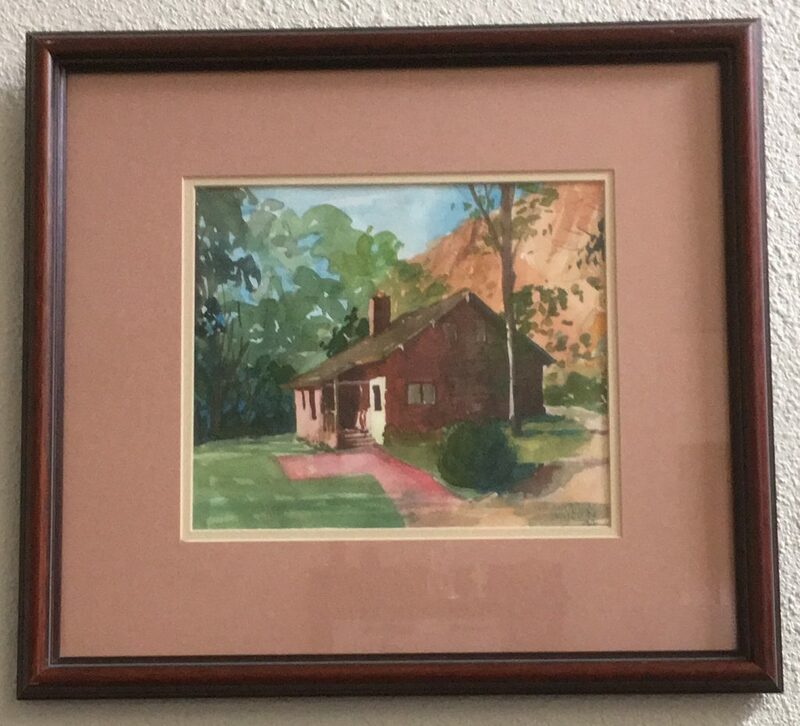 Zion Lodge? It is probably not in the top five on most visitors’ lists of what to see in Zion, but it should be. 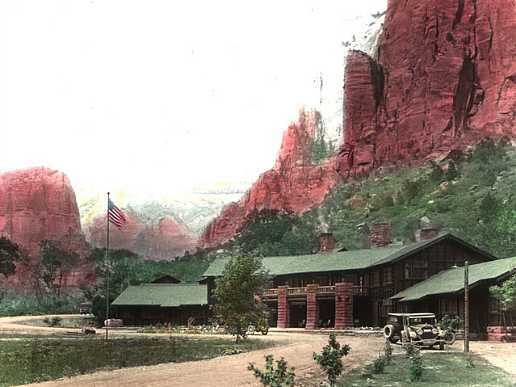 The Zion Lodge and other buildings of its era are nostalgic relics of the golden age of national park development – a time when the railroad controlled most of the tourism in national parks and Zion, Bryce Canyon and the North Rim of the Grand Canyon were no exceptions. Aided by the ideology of the first National Park Service director, Stephen Mather, who encouraged development in national parks to attract more tourists and justify the parks’ existence in the early 1920s, the Union Pacific Railroad, seeing the tourist potential, formed a subsidiary called the Utah Parks Company. 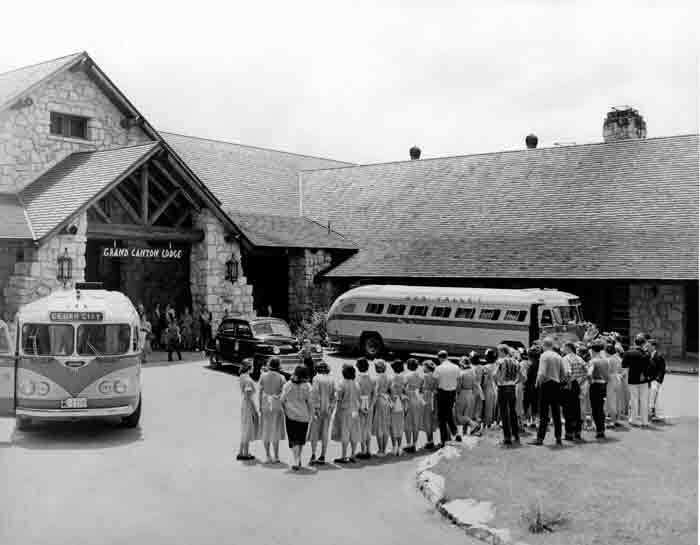 The Utah Parks Company was responsible for building accommodations in each of the three parks for guests enjoying its loop bus tours, which also included what would become Cedar Breaks National Monument, where the company built another lodge. The lodges in each park, designed by renowned Los Angeles architect Gilbert Stanley Underwood, created villages in the form of a central lodge, kitchen and dining room with outlying cabins and service buildings. 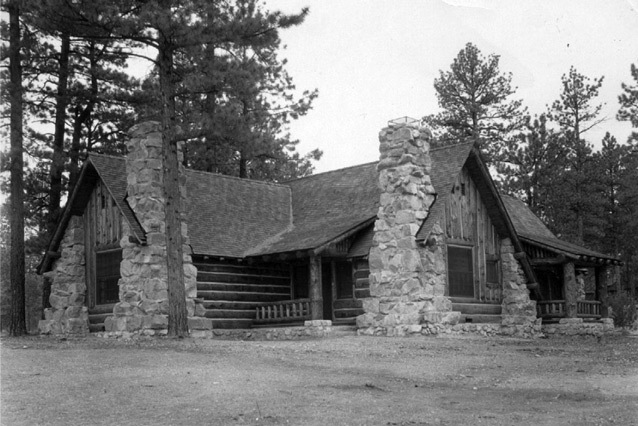 Underwood’s rustic architecture used native materials in its construction, including logs and log slabs, rough angular stones with steel and concrete hidden beneath. 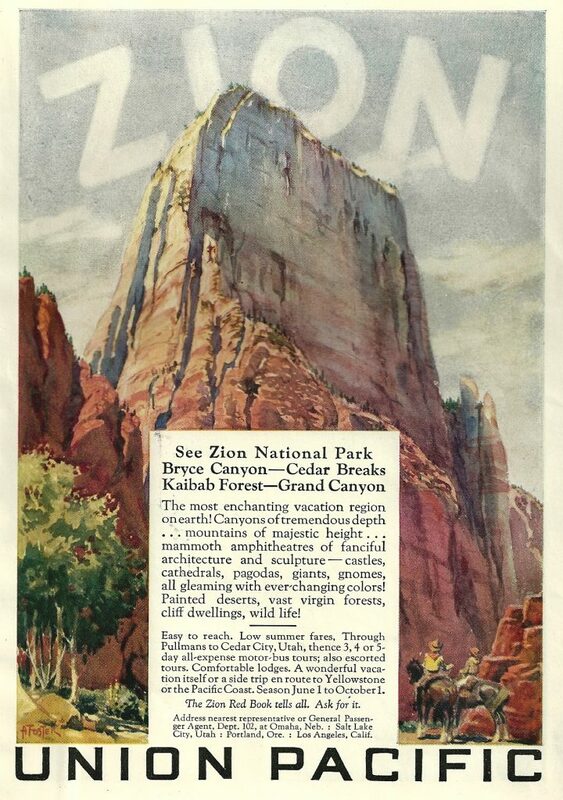 The initial design of Zion Lodge, completed in May 1925, called for a more grandiose building, but park officials decided that such a behemoth would not harmonize with the narrow canyon. Underwood was up to the task of designing it to their specifications using local materials, including 265,000 board feet of lumber transported down from the plateau via the Cable Mountain Draw Works. 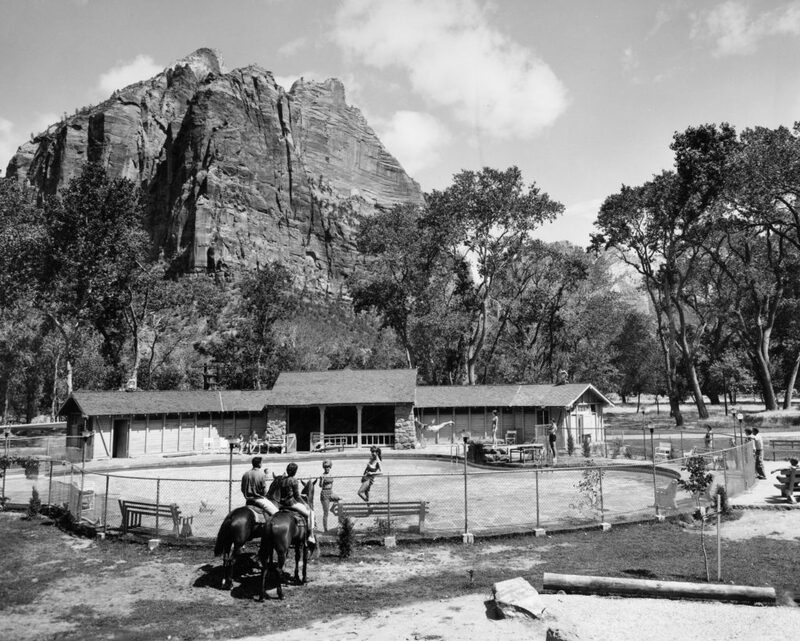 Until 1976, the Lodge even had a swimming pool (built in 1928) and in its early days it provided activities for guests such as campfire sing-alongs, sing-aways in front of the lodge and skits performed by its young staff. 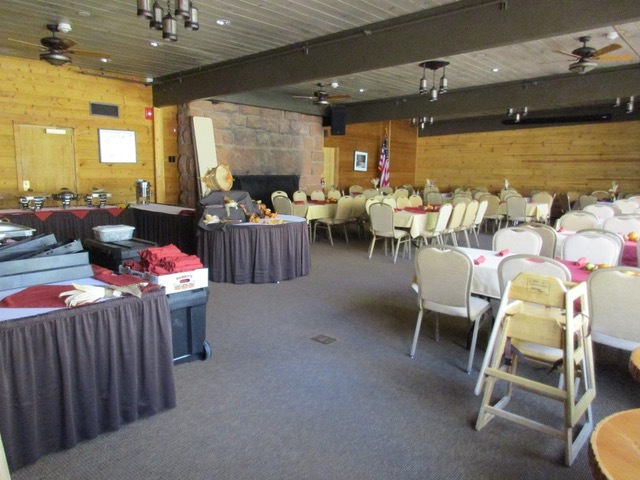 Today, the lodge hosts ranger programs during the summer. 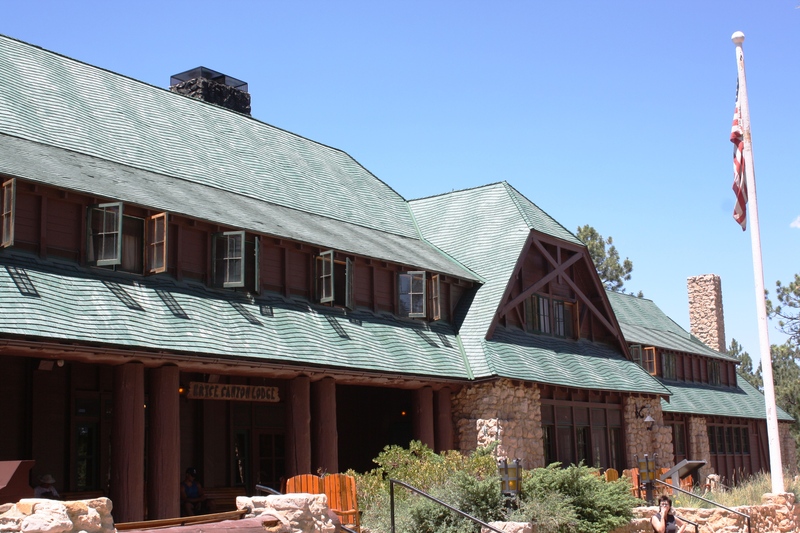 A fire in January 1966 destroyed the original building, but the lodge was only out of operation for 108 days afterward while a prefabricated building was put up in its stead and a 1990 remodel restored its original design. In 2010, the cabins surrounding the lodge were updated to make them more energy efficient and comfortable for today’s guests without sacrificing their rustic appeal. 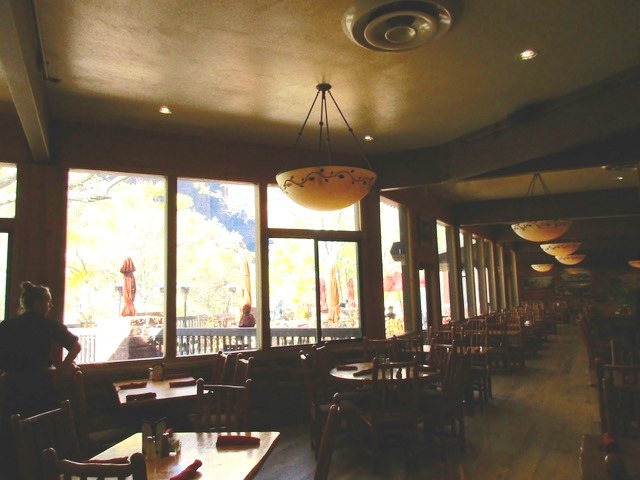 Xanterra, the current concessionaire in charge of the Lodge’s administration, prides itself on being environmentally sustainable; the company recently received Leed (for Leadership in Energy and Environmental Design) Silver Certification from the U.S. Green Building Council, the first property within a national park to earn that distinction. Zion Lodge played an important role in the park’s more recent history as well, former park Superintendent Don Falvey said; he served from 1991-2000. 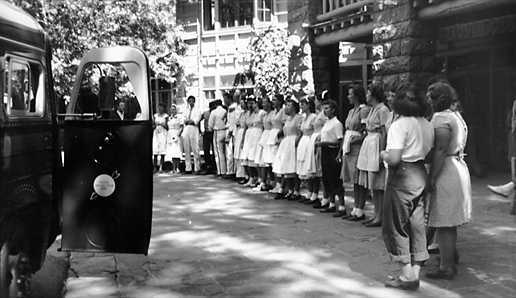 Among those roles, the Lodge hosted several gatherings that proved crucial in the planning and implementation of the park’s shuttle system. Falvey recalled a meeting even before that, in 1993, with Assistant Secretary of the Interior George Frampton, which ensured Zion had a priority ranking within the National Park Service for shuttle implementation. 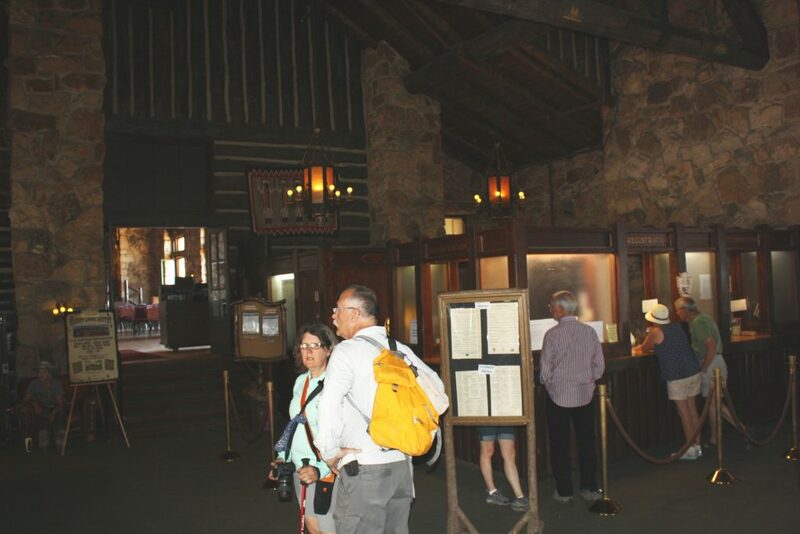 Through these experiences, Falvey said, he became a firm believer in hosting such events – especially in such historic places as the Zion Lodge – in order to build support for the park and its programs. Interestingly, one of the park’s general management plans considered discontinuing lodging and food service at the Lodge. Instead, it favored converting the building into a science education center and associated research station, Falvey said, but the preferred alternative, leaving it as the only in-park visitor accommodations, persisted. Thankfully, Zion’s two “sisters,” Grand Canyon Lodge at the North Rim and Bryce Canyon Lodge, have continued in their original use as well. 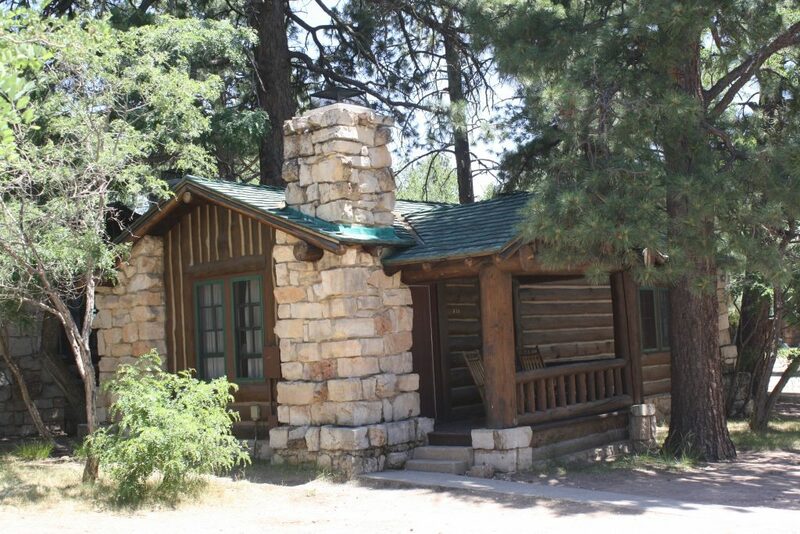 Built in 1927-28, Grand Canyon Lodge at the national park’s North Rim honed in on the same village concept as Zion Lodge, with 100 standard cabins and 20 deluxe cabins surrounding the main lodge. 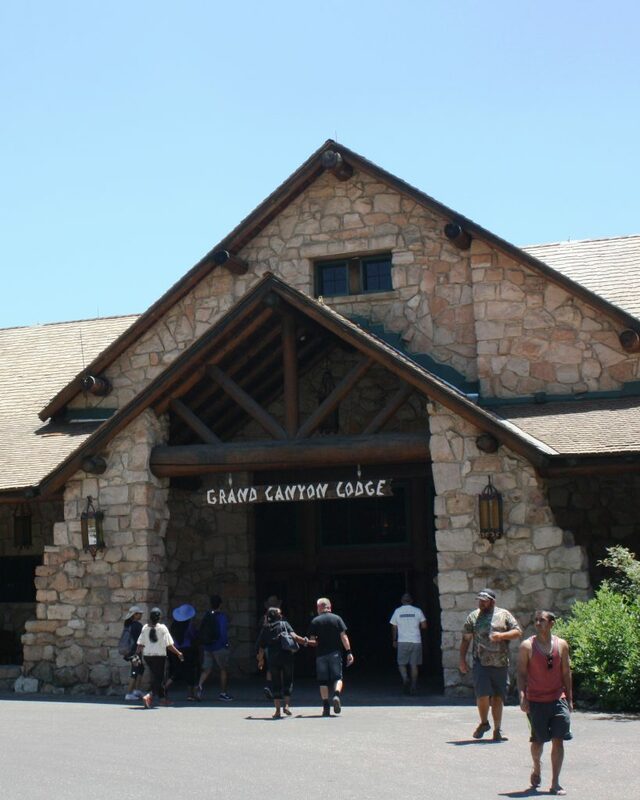 The original Grand Canyon Lodge and two of its deluxe cabins were destroyed by fire in 1932. The main lodge was rebuilt in 1936-37 utilizing much of what remained of the stone foundation, piers, walls and chimneys of the original building. The rebuild retained the general configuration of the first lodge with a few exceptions and very little has changed since. Some say the re-creation is not as architecturally spectacular as the original, but retains its “Underwood flavor” even though it is not clear if he was part of the reconstruction. 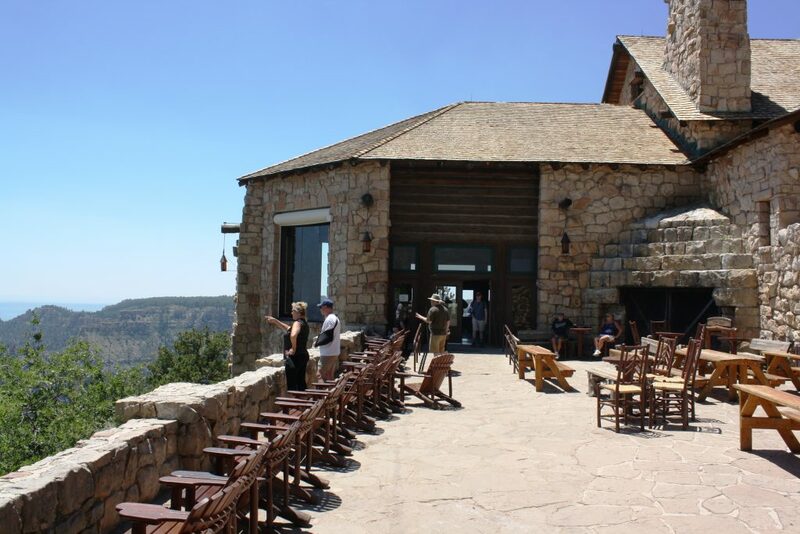 Grand Canyon Lodge takes full advantage of its location on the rim, boasting a viewing room with large windows within the lodge itself, a viewing deck on its east side and a dining room that overlooks the rim as well. 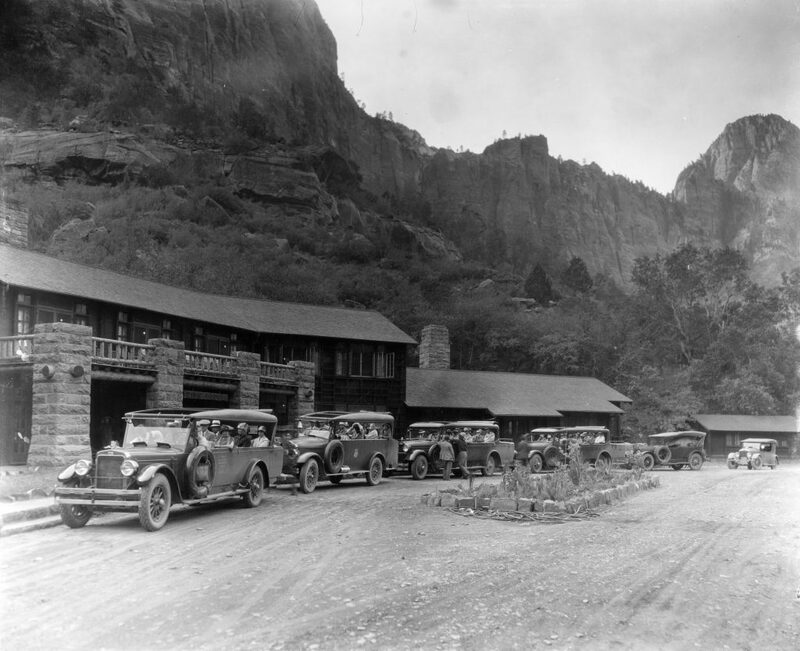 The Utah Parks Company was brimming with anticipation to build Bryce Canyon Lodge, finished in 1925. It started accumulating stone and logs from nearby sites for its construction in 1923 even before Underwood had drawn up the first plans. A two-story stone and exposed frame structure, Bryce Canyon Lodge features a long, log-columned portico at its entrance paved with bricks whose patterns carry over to its entrance ramps. It holds the present distinction of being the only Utah Parks Company Underwood-designed lodge in its original form and is located only steps from the hoodoo-filled amphitheater’s rim. These historic lodges are not simply functional facilities where visitors merely eat and sleep; they are places for visitors to restore themselves within beautiful structures that fit each park, Fagergren said. In addition to the lodge, there are other structures in Bryce Canyon from the Utah Parks Company era that fit into the parkitecture genre, including the general store, which was originally the cafeteria, some historic cabins and the original park headquarters and visitor center located near the general store. 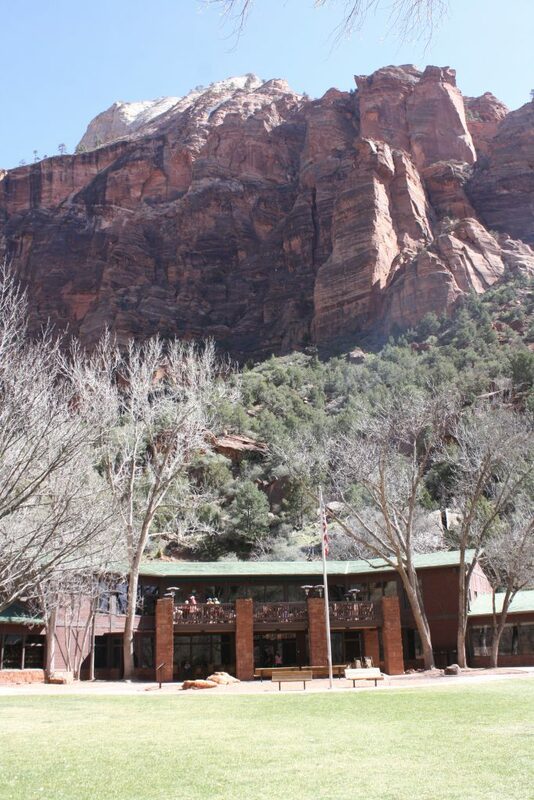 Zion National Park also boasts several other classic Park Service rustic architecture buildings other than Zion Lodge. 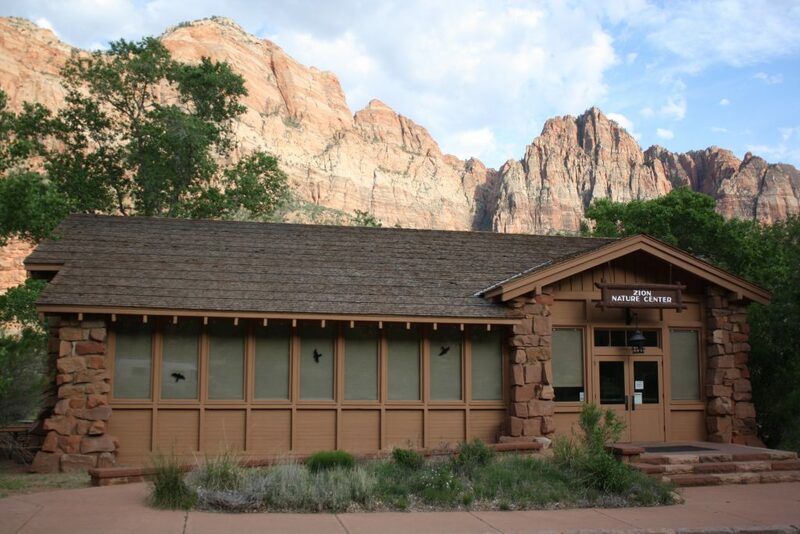 One such parkitecture building constructed by the Utah Parks Company is now the Zion Nature Center in the South Campground. 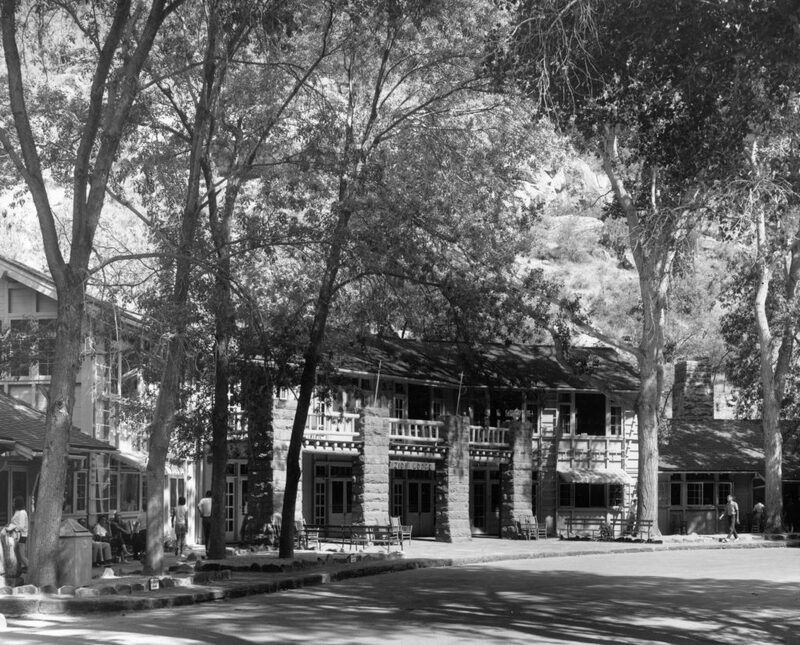 Also designed by Underwood, the building, built in 1934 and first known as Zion Inn, was originally a cafeteria, gift shop and an office for surrounding tourist cabins. Acquired by the Park Service in 1972, it was remodeled into the Nature Center, which includes displays on the park’s geology and wildlife and is the headquarters of its Junior Ranger Program. 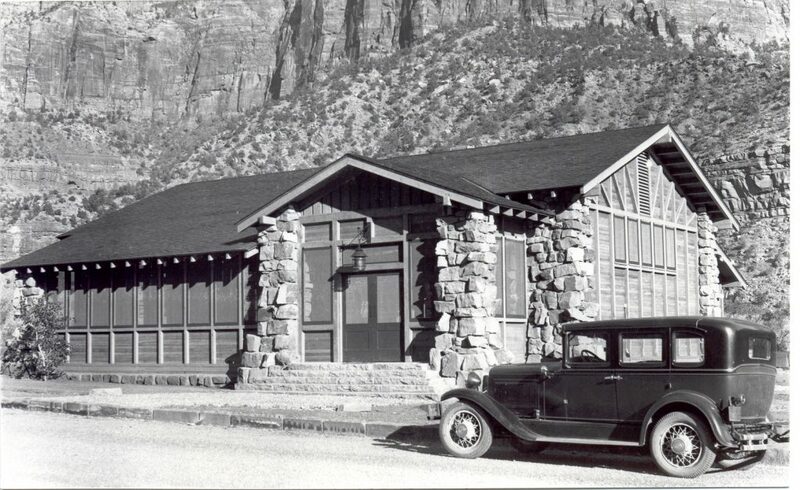 In addition to structures built for the Utah Parks Company, Zion features several other buildings showcasing the rustic architecture of the 1920s and 1930s. 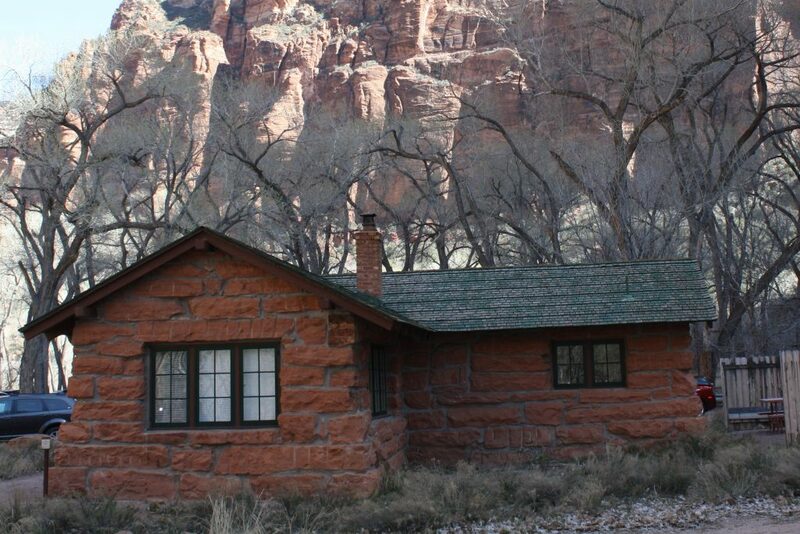 Zion’s historic grotto museum and contact station, built in 1924 in what was then the park’s campground, is the oldest remaining building within the park. Its stone work is much larger than later projects. Restored in 2009 with the help of the Zion Natural History Association (now the Zion National Park Forever Project), it served as the backdrop to a formal program commemorating the park’s centennial that year and now serves as the headquarters of Zion’s Artist in Residence Program where chosen artists live for a month to create artwork showcasing the park and to offer programs to the public. Other buildings within Zion that can claim the parkitecture distinction are the three Pine Creek residences on the west side of the Zion-Mt. Carmel Highway near the bridge across the Virgin River just before Canyon Junction. They are classified by numbers, Quarters 3, the old superintendent’s residence, Quarters 2, a ranger residence, and Quarters 1, the newer superintendent’s residence. Falvey was the last superintendent to live in Quarters 1 and has fond memories of his time spent there. Upon his arrival, he said, the park’s maintenance division upgraded and remodeled the residence, including the addition of a concrete driveway and the addition of a berm as a buffer between the residence and the highway. The house includes a fenced garden with a peach tree and pomegranate bushes. Unfortunately, while his family was there, Falvey said, squirrels consumed the peaches and the they didn’t get to eat many. Falvey and his wife, Carole, hosted many community events at the residence and entertained visiting dignitaries, including congressmen, at the residence. “The setting with a view of the Bridge Mountain area across the Virgin River was conducive to fostering an appreciative attitude of the park and its resources,” Falvey said. Harry Grafe, the superintendent before Falvey, thoroughly enjoyed living in the home as well and even hosted a wedding ceremony for one of his daughters on its lawn, Falvey said. 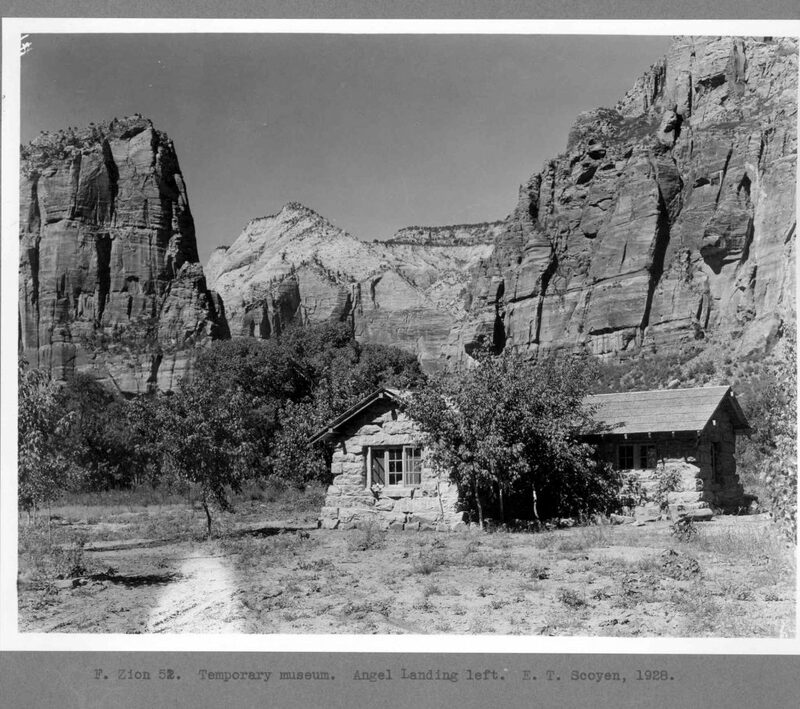 The restoration of the older superintendent’s residence is part of the Zion National Park Forever Project’s Field Guide of projects the park has identified as a fundraising priority. 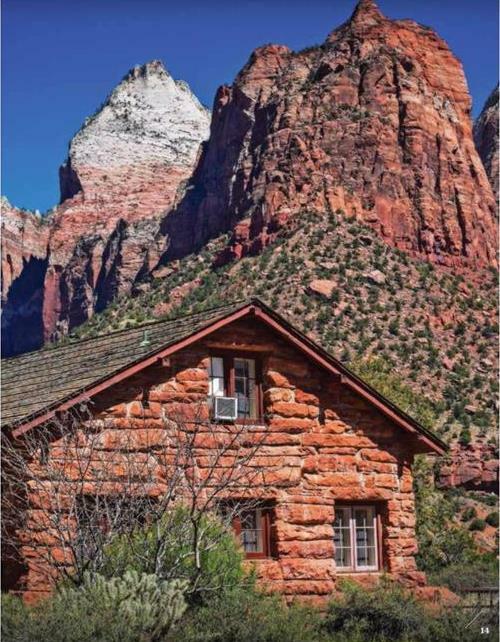 “The first superintendent’s residence is a highly visible and picturesque building drawing constant attention of visitors along the Zion Scenic Drive,” the Field Guide states. The Forever Project administrators knew that raising money for the residence’s renovation could be difficult but placed it in the guide anyway to get it on people’s radar, hoping the organization could leverage for more funds at a later date. So far, the Forever Project has not secured funding for the restoration, but moves forward undaunted. Preiss foresees projects such as the superintendent’s residence restoration as something that can be a laboratory for historic preservation groups from universities within the region to provide hands-on experience for college students and to raise awareness of the importance of historic preservation. Once preserved, it will continue its past use – housing for park employees. When visitors think of Zion National Park, most don’t think about the built environment, Preiss said, but the buildings provide another layer of the story of Zion, helping tell how it was established and how it has related to other parks. “They tell the story in a tangible way and tell us a lot about the values of the National Park Service,” he said. The parkitecture buildings connect to the use of locally-sourced materials and using resources from within the park but also connect to today’s construction, helping inform designs that blend in better with the surrounding environment. “We’re fortunate it’s still with us,” he said of Zion’s picturesque buildings from the past. 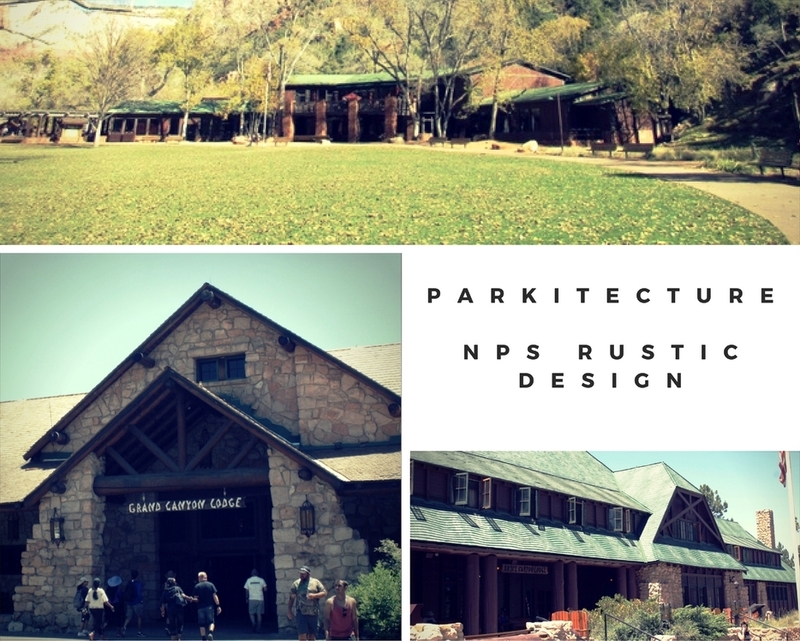 It is critically important that these NPS rustic architectural structures remain intact within these parks, Fagergren said. 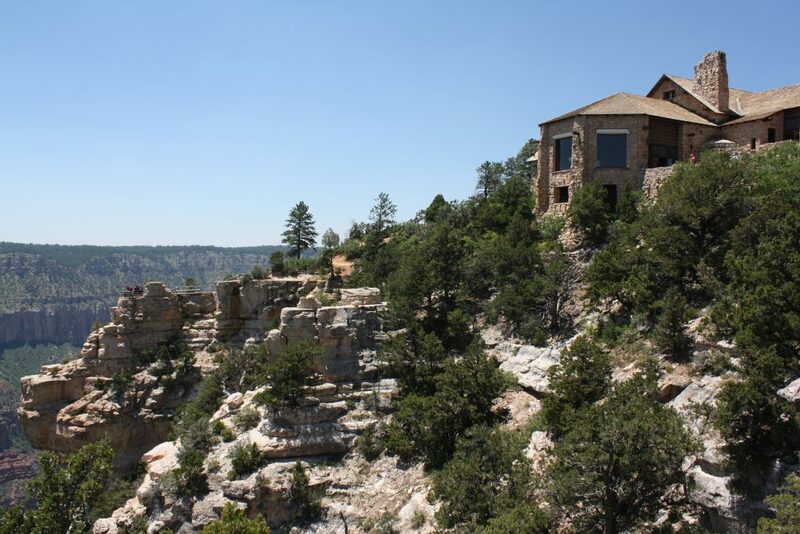 Zion, Bryce Canyon and Grand Canyon each provide a unique accommodation experience in one-of-a-kind structures that meld with their surrounding environment and are all on the National Register of Historic Places. Each lodge has plenty of displays chronicling their history that are worth a look and all of them provide guests inviting outdoor spaces to sit, relax and enjoy the scenery. For reservations, please visit the websites of each respective lodge by clicking on their names above. However, one does not need to be a guest to enjoy these lodges’ charm. 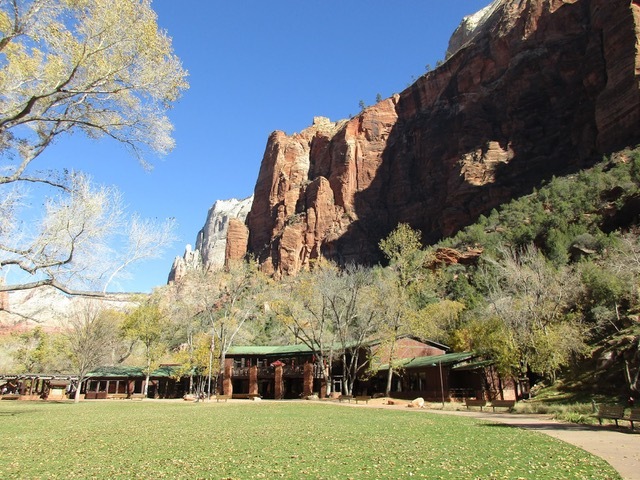 At Zion National park, children will especially enjoy the Zion Nature Center as part of the Junior Ranger Program and the Grotto Museum and Contact Station would be especially enjoyable when an artist is in residence there.